Multi-channel marketing is defined as communicating with and marketing to prospects and customers across many disparate digital channels, including search, social to display, affiliate and even digitally enabled O2O programs. Further, Digital Jungle understands the digital environment in China is mobile centric. Therefore, you must have a mobile first approach across; paid, owned and earned media channels. Digital Jungle will work with you to develop the right channel mix given your marketing objectives. Our team has years of Chinese media experience with a deep understanding of Chinese consumer behaviour. Chinese SEO and SEM is very different to what they are like abroad and require an advanced skill set. Because of Google’s limited presence in China, we need to look at reaching local Chinese search engines. 70% of all local searches are done on Baidu, the leading Chinese search engine, with other users preferring to use other China-specific search engines such as Sogou, Haosou and Qihoo 360. Our expert team will work to develop an SEO and SEM strategy to suit your target market, whether they’re living in China or abroad. As specialists in our field, we have the local Chinese knowledge, experience and expertise needed to optimise your site for a Chinese consumer in order to achieve top search rankings and optimized paid search programs. Affiliate marketing in China is an extremely powerful and cost-effective channel to drive website conversions in the form of leads or eCommerce revenue from Chinese customers. Digital Jungle can help you get your products and services listed with only the most trustworthy affiliate programs and manage the relationships with the platforms as well as the individual affiliates. We also manage in the recruitment, selection and approval of new affiliates and influencers. We work with all of the main Chinese affiliate programs but specialize in AliExpress, CJ.com and Amazon. 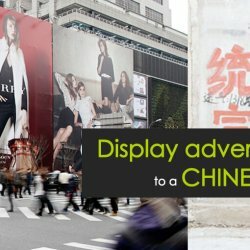 Digital Jungle provides media buying across a wide range of Chinese paid media options; RTB, programmatic, retargeting, video ads, and much more. We have access to the biggest ad exchanges in China, such as Tanx ADX, Tencent Ad Exchange, and DoubleClick Ad Exchange. We’ll choose the most efficient media channels for positioning your brand and maximizing your presence in the Chinese market, while taking care of all campaign planning and buying. Direct online media buying with individual publishers will be facilitated, along with social influencer outreach campaigns and contesting. The Digital Jungle media team will handle all of the creative development in-house — text ads, banner and video creative design, analytics integration, translation, and the development of landing pages or microsites.